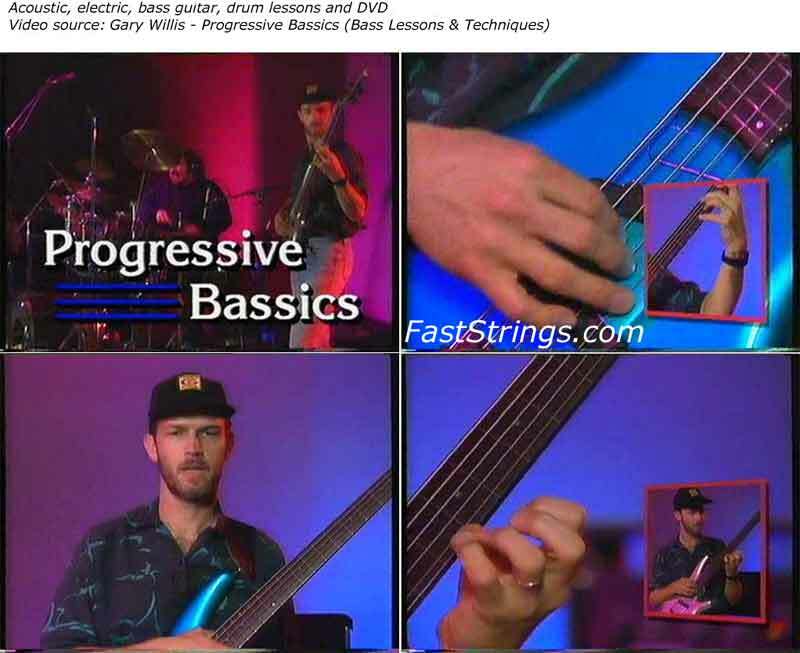 Gary Willis Progressive Bassics download. Get a close up look at the playing of one of today’s finest jazz fusion bass players. In Progressive Bassics, Willis shows you his unique right hand concept. Learn right hand dampening in the open and closed positions and how to use the correct muscles to boost stamina and develop fast, flowing technique. Through the strong and weak beat concept, Willis demonstrates how to visualize the harmony underneath your fingers. He also discusses fretless bass technique. The video is highlighted by performances including Self Defense which has been transcribed in the accompanying booklet. Gary Willis is a world class musician, composer, soloist and clinician. He co-founded Tribal Tech with fusion guitarist Scott Henderson and can be heard on numerous recording on the Relativity label. Willis has also recorded with such greats as Wayne Shorter, Allan Holdsworth, Joe Diorio and Robben Ford. He conducts clinics around the world and is on staff of the Musicians Institute in Los Angeles. Willis’ flawless technique, flowing lines and great sensitivity combine to make him one of the finest bass players in the world today. Does anyone have just the pdf booklet please? Gary’s approach to ergonomics is similar to a pianist’s, thus avoiding repetitive strain injuries and actually improving speed and control at the same time…a nice lesson for all levels, and great performances too. Thank you for the upload!